I have always believed two things about difficulties in life. Problems are lessons that need to be learned. God helps those who roll up their sleeves and help themselves and gives you the strength to do it. I have known this quote for years, and believe it to be associated with AA. I’m sure it has given somepeople the strength to carry on! Beautiful Quote and beautifully penned ! Bernadette, I start everday asking for that. I needed to his quote today. Thanks for sharing it. 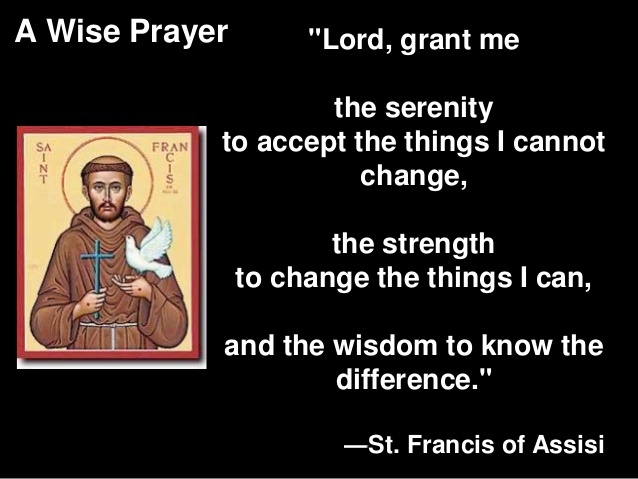 I love The Serenity Prayer – it has helped me through some very tough times.